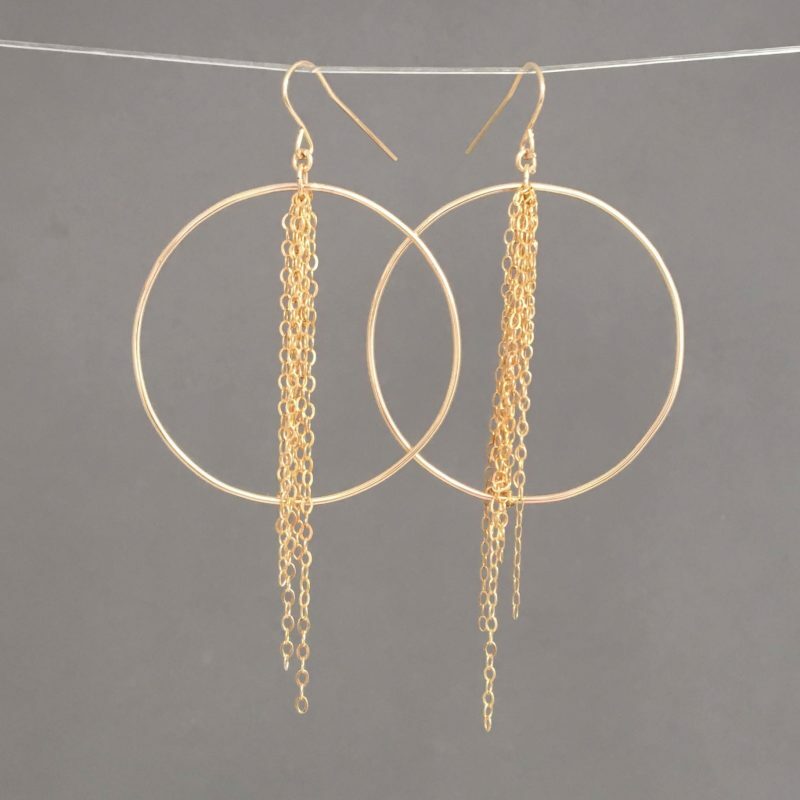 Strands of chain dangle with wire hoop. 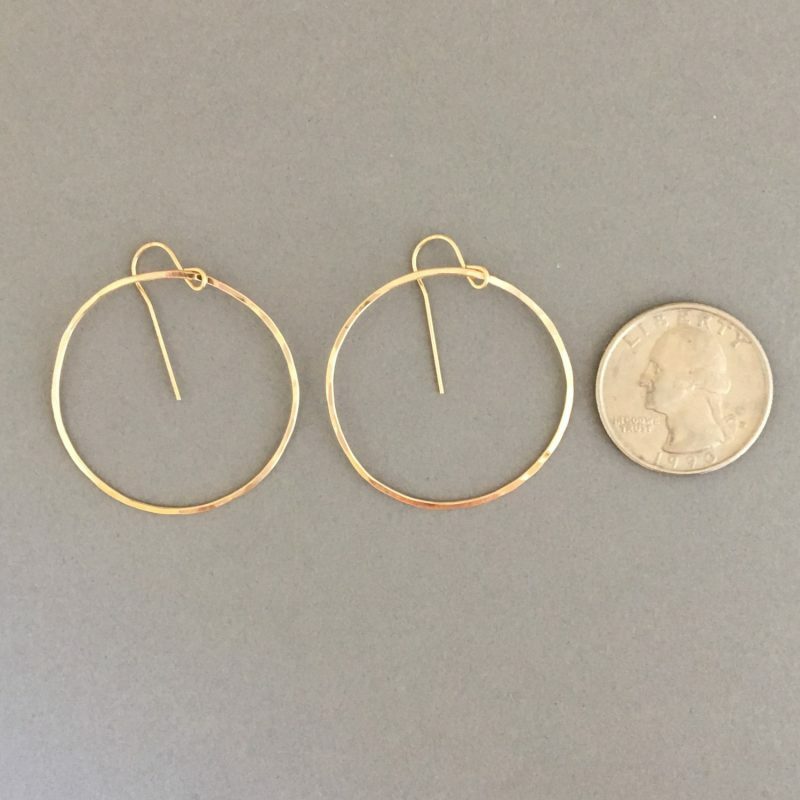 Chain and hoop are 14k gold filled, 14k rose gold filled, or sterling silver. 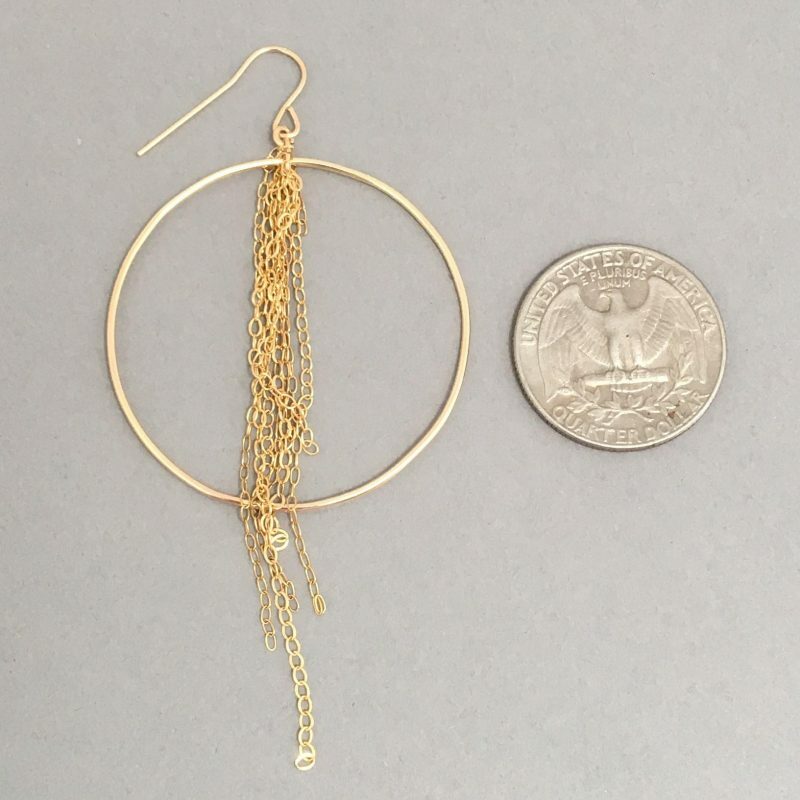 Earrings measure 3 inches from the top of the ear-wire to the bottom of the chain. 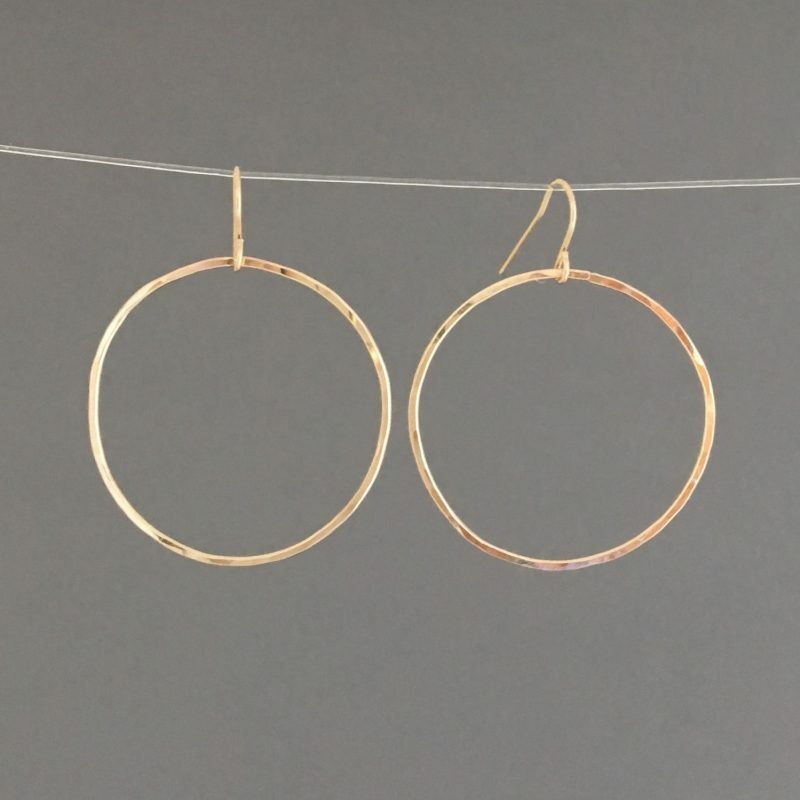 The hoops measure 1.5 inches wide and long. 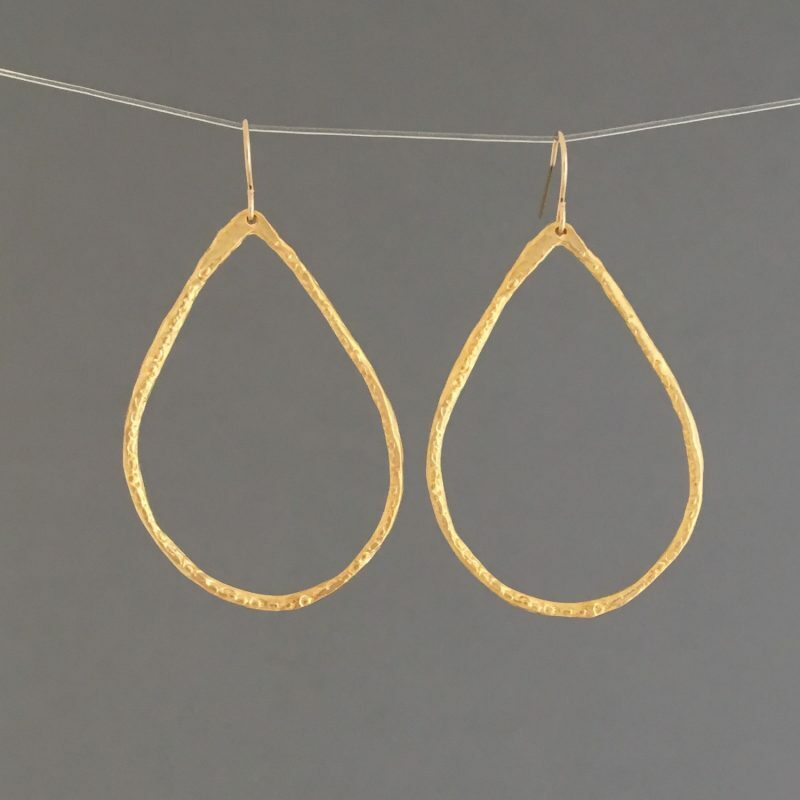 Wire is hand forged and hammered into this geometric shape. 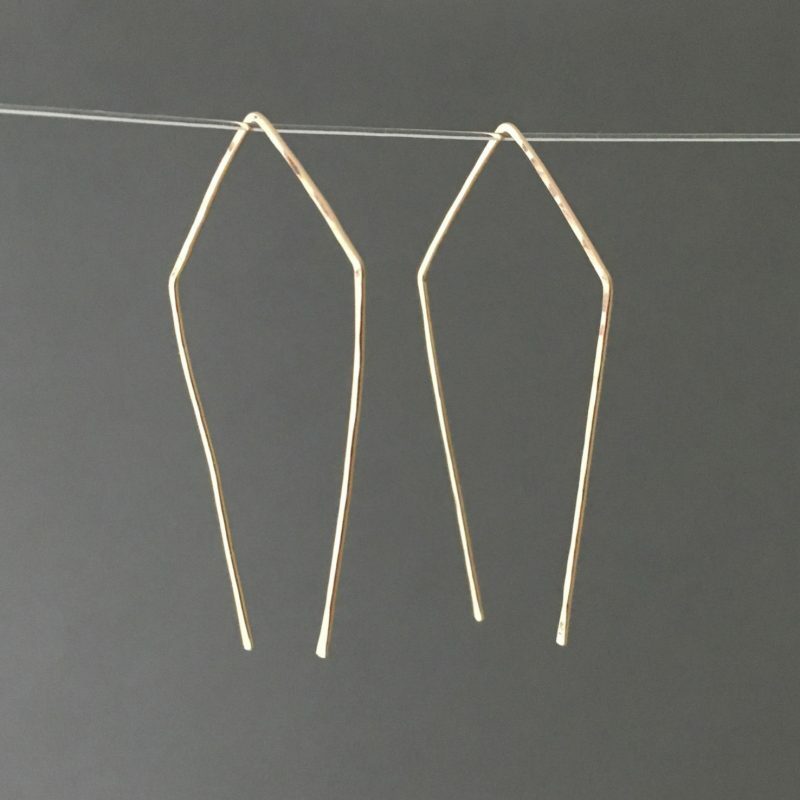 Earrings from top measure 2 inches. 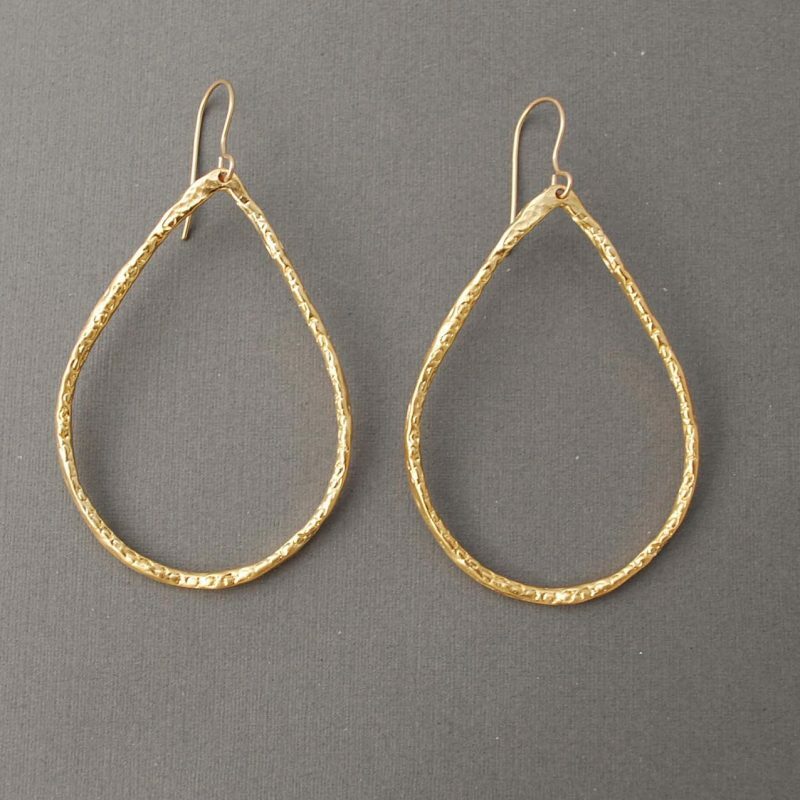 Gold plated teardrop hoops measure 2 inches in length and 1.25 in width. 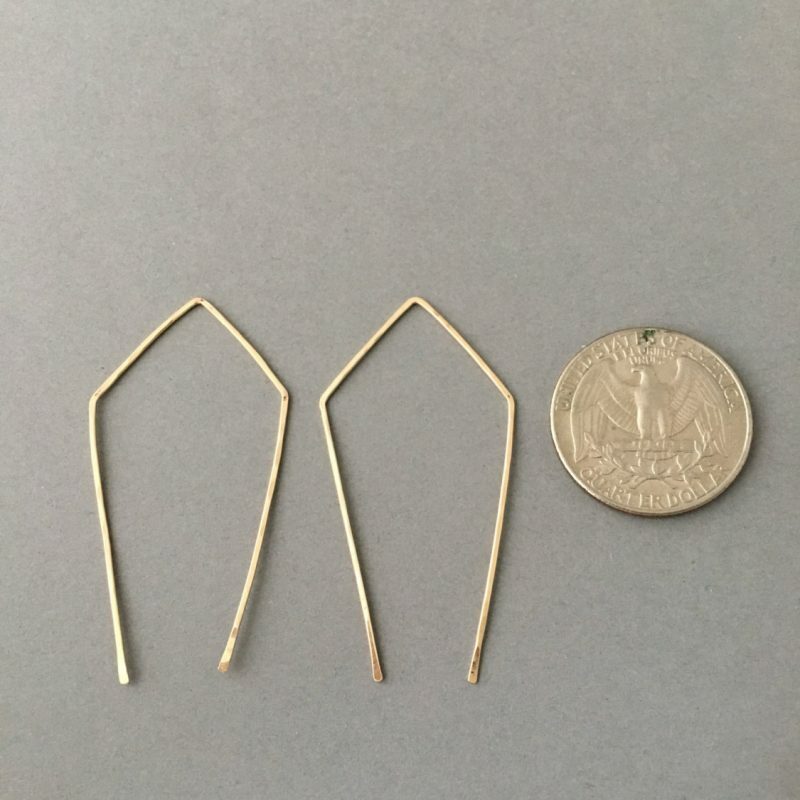 The ear hook is 14k gold fill. 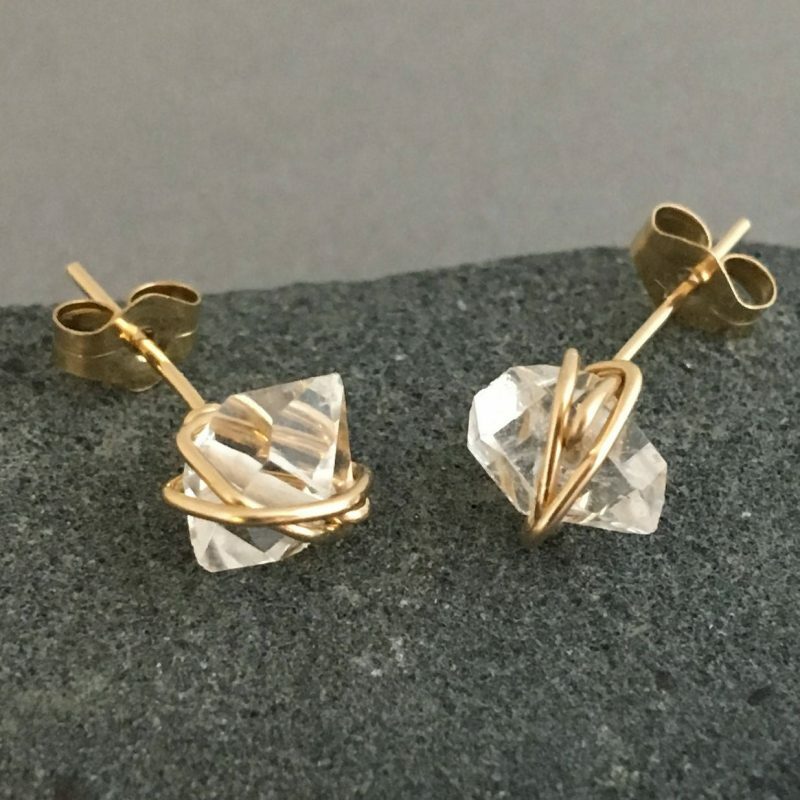 Two Herkimer diamonds are wire-wrapped with 14k Gold Fill, Rose Gold Fill, or Sterling Silver wire. 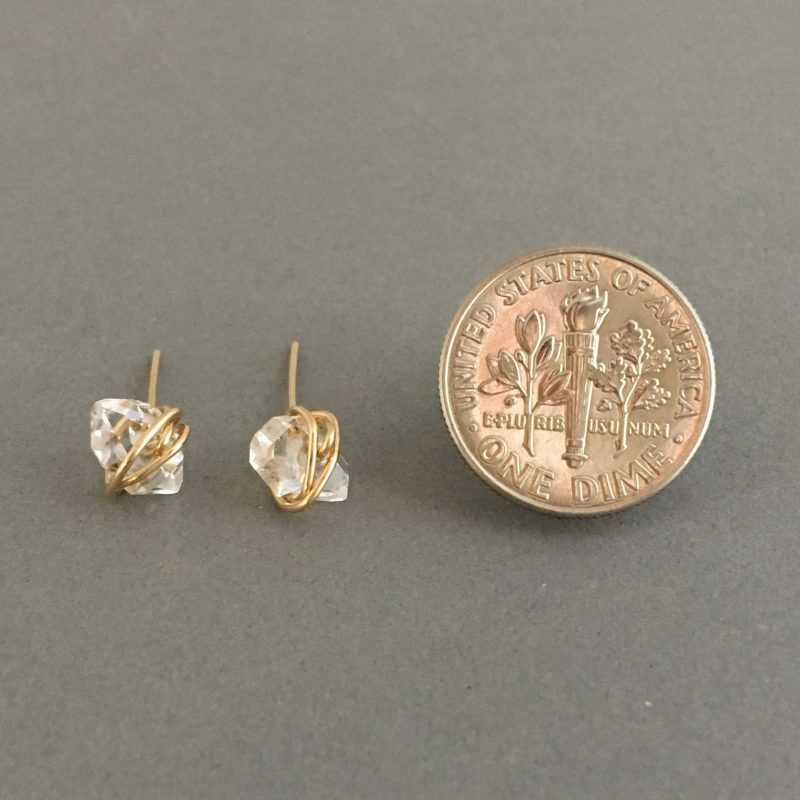 Herkimer diamonds measure approximately 3/8 of an inch long.